I'm so excited to share today's look with all of you! My photographer and I were finally able to take photos of seven outfits this past Friday so I finally have lots of new blog content to share. A break from the rain thank goodness! We had a low 70's overcast day and it was literally perfect. The last couple of shoots I've sweat spray tan all over everything changing outfits in the car OR gave myself frostbite from shooting Spring looks in 30-degree temps (yes, this actually happened haha). Today's look is a great transitional pairing from Summer to finally Fall. AND you can keep wearing ivory/white/cream while still keeping things seasonally appropriate. A great way to wear lighter colors in Autumn and Winter is to think texture and material. Suedes, thicker knits, detailing like balloon sleeves, wool, quilting etc. paired with a fun print.. all things you'll see in this post! Sometimes wearing light colors during Fall can be intimidating. Especially if you're worried about wearing white. I definitely don't abide by the "no white after Labor Day rule", but if you do, cream, ivory, and beige are great options! It's a little less stark and worn monochromatically work really well. As you all know, I've been totally hat obsessed lately. There are so many amazing, and affordable, wool hats right now and this blush beauty (wearing size small) is one of my favs! It's such a pretty color and lays really nicely on the head (+ it's really good quality). Blush is in my color palette year round and I love the way it pairs with creams and beiges. And of course, a fun animal print! My sweater, sadly, is sold out (from Nordy Sale) BUT the same brand just released one that looks super similar and is equally as cute and affordable (under $50 - I wear an xs). I love the contrast in texture of a chunky knit and suede. It's a great way to wear the same or similar colors together - the material makes all the difference! For example, you could wear this skirt with a silk top for a dressier feel. My suede skirt is still in stock and available in most sizes (although some are low in stock). It's a wardrobe staple for this time of year because you can do so much with it. 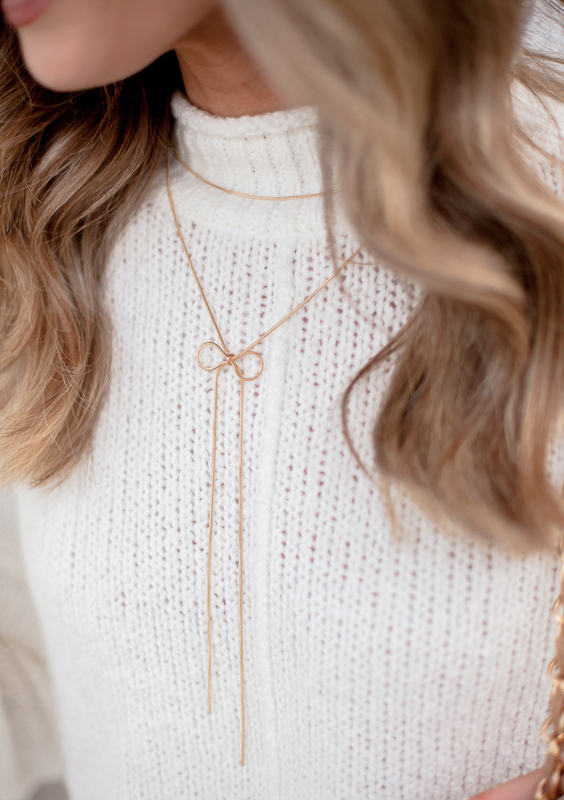 Wear it with a sweater, a cardi & cami, a knit tunic, even a tee! The brand recently re-sized their merchandise so it's much easier to figure out what you need. I'm wearing a 0 and definitely feel it's true to size. My leopard pumps are a recurring favorite here on Pardon Muah so clearly they were well worth the money. Leopard may be a trend, but its still a timeless print and a leopard shoe is a great way to incorporate detail without having it covering your body. Also a good way to wear print to work as a lot of offices are more conservative. These run true to size (I wear a 7). Finally, my bag. OH! this bag hah! I purchased it immediately when I saw they came out with a brand new oversized version (I own the large in black too). As soon as I got it I linked it and shared it and then shortly after it vanished lol. There are still over colors and patterns available but the apricot has been sold out. I heard they are making more so I will be watching like a hawk!